The Amazing Spiderman was a well received re-boot to the Spiderman franchise. It was so well regarded by the film community because of its more accurate take on the hero, more ‘true’ to the comic books most would say. Andrew Garfield played the lead role as Peter Parker/Spiderman whilst Emma Stone played Gwen Stacy, Peter Parker’s original love interest. With other well known A-listers such as Sally Field as Aunt May and Martin Sheen playing the ill fated Uncle Ben, the film was a resounding success and a further two films were commissioned. We at Flickfeast have been following the hype surrounding production of these two films and have some rather exciting news to share with you. As most of you will know, certain casting details have been released which include Jamie Foxx is to play Electro and Paul Giamatti will transform into Rhino, there will also be an appearance by Shailene Woodley as Mary Jane. 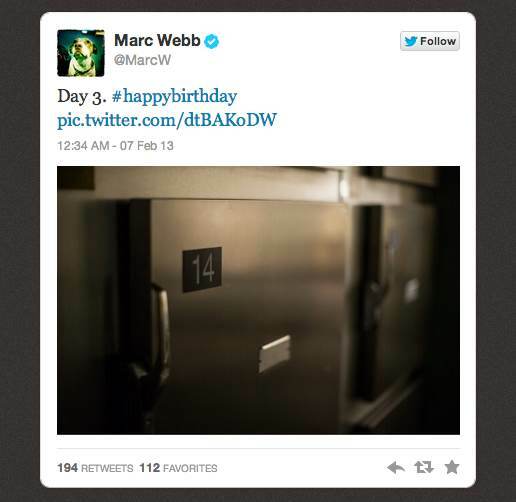 However, the most exciting news to date has been delivered directly from Director, Marc Webb’s Twitter account. Whether he is fuelling hype with misleading information, or whether he is hinting at what is to come, is currently unclear but after releasing a certain picture showing a locker bearing the number 14, along with a Happy Birthday Hashtag, he has the internet buzzing! 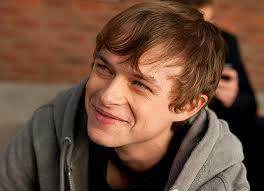 The Happy Birthday Hashtag has been said by some to relate to Dane DeHaan, a rising star who some of you may have seen as the troubled teen with super powers in the 2012 film Chronicle. The locker bearing the number 14, could be interpreted by some, to relate to the locker from the original comic series which housed the suit of Venom, one of the most famous of all Spiderman’s enemies. Taking these two elements, and taking into account the accuracy to which production has stuck so closely to the original comics, it has been speculated that Dane DeHaan is to appear in the second instalment as Harry Osborn. Spiderman rejects this symbiote who finds a new host in Harry Osborn. The suit twists Harry and his perception of good versus evil until eventually he teams up with his father (The Green Goblin) to fight against Spiderman. Whilst all this is only conjecture at the minute, it is all possible and would fit nicely into The Amazing Spiderman franchise, gradually building up to the final reveal of The Green Goblin. Whatever the plot ends up being, we here at Flickfeast are sure it will be a resounding success. The attention to detail and strong performances that are present in the first instalment are sure to be present in this second outing and we look forward to any more teasers Marc Webb has to offer! Have an opinion on The Amazing Spiderman? 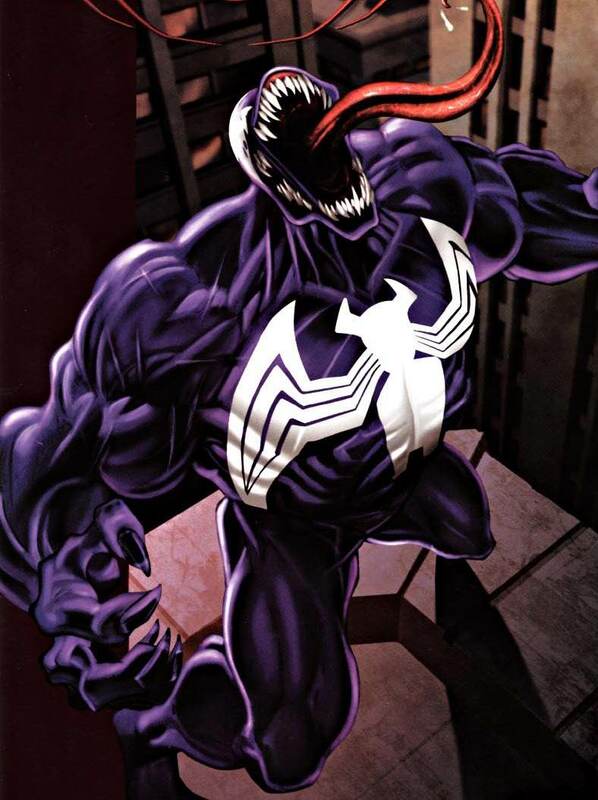 Do you believe the addition of Venom would be a good/bad thing? Why not register for free to our forum and chat with like minded film aficionados? Dane DeHaan was great in Chronicle. Venom is a great villain. What’s not to like? Couldn’t agree more Kev. I can envisage him bringing a nice new twist to Harry Osborn and to Venom, hopefully Mr Webb will treat us to more teasers as The Avengers build up did!